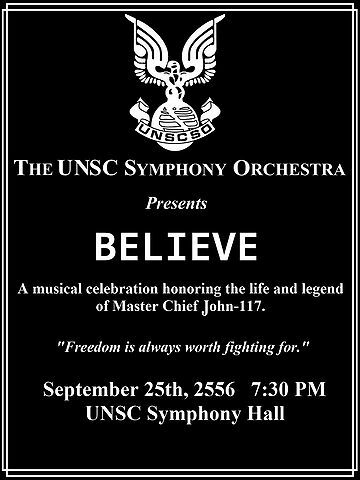 This Canon Order was made to be a definitive order for you fans to read and enjoy Halo, with a sense of unbelievable odds. A sense that you can do the impossible and read, watch, play the entire franchise in one go. In order. 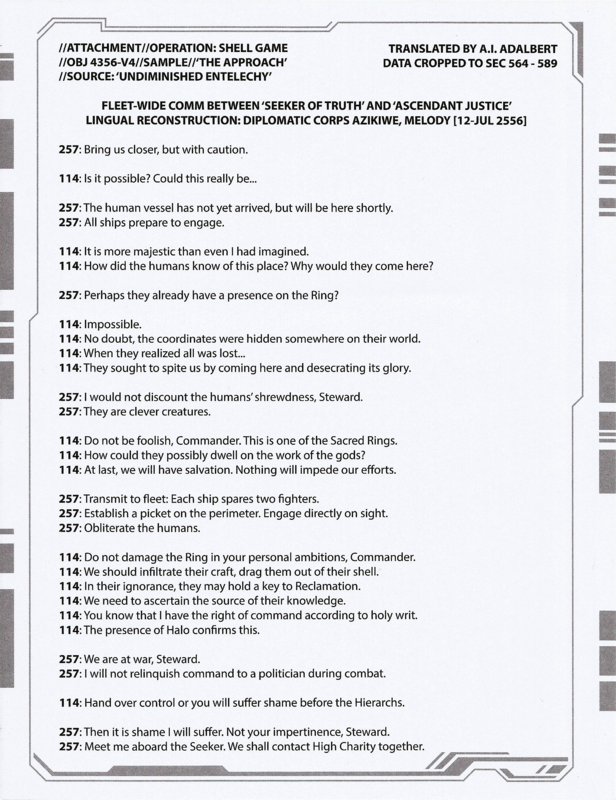 A Halo story Bible contents page if you like. 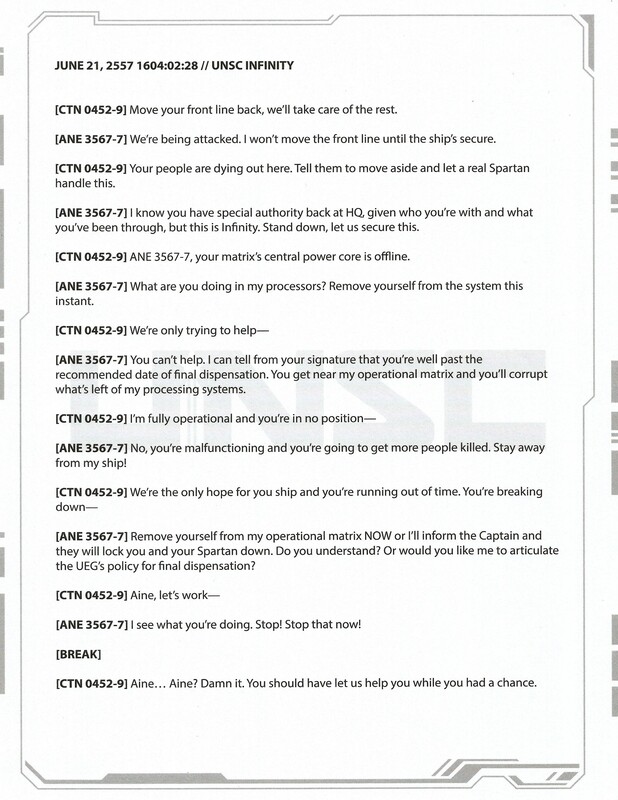 This part of the Halo Canon order deals with after the Covie Human war in Halo 3, up to the furthest Halo can go. If you are looking for a different format. 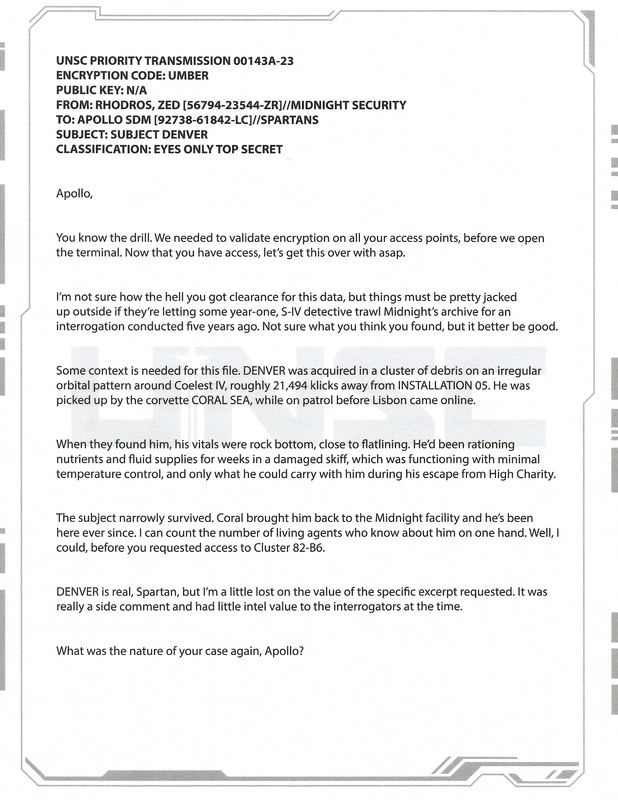 Or are looking for a list of all the Halo Lore. Or even the first half of this thread. The following links below will help you. 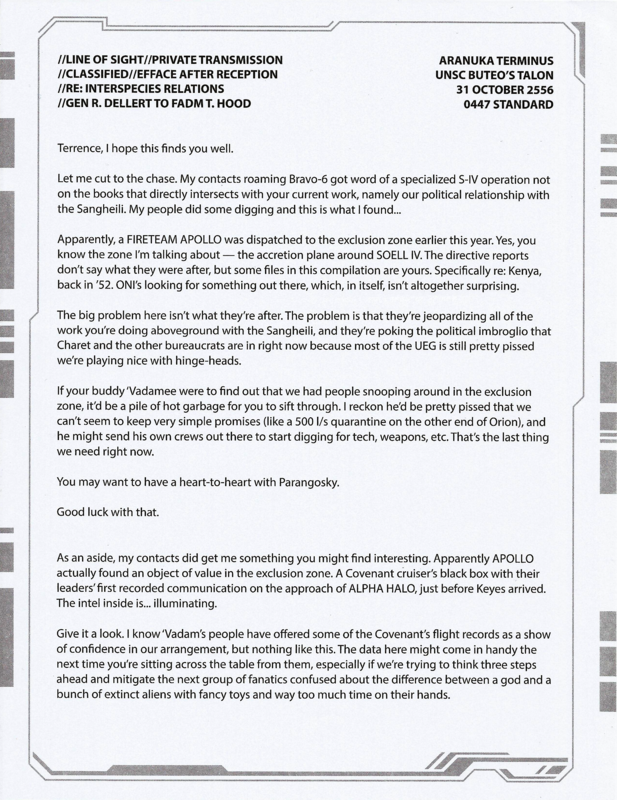 If 343i says anything that will be counted as the best possible source. This is not a place to say your dislike on a game. I will find a thread for you you if you start. And thank you for taking your time reading these. *Note as some Arcs dont have names I will dub names for them. *Also note I will not use all of this. Its a key for people so its easy to understand. I am more likely to use Volumes unless there is parts where time changes a few times. 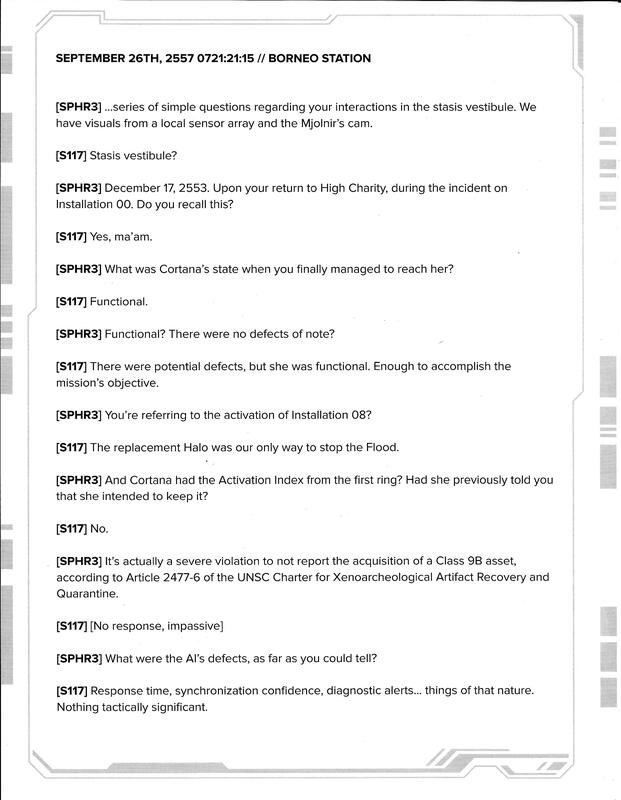 (B) G Chapter 1 "Former Colony of new llanelli, brunel system" to Chapter 7 "Forerunner Dyson Sphere, Formerly Onyx"
(B) G Chapter 7 "Sanctuary of the Abiding Truth" to Chapter 16 "UNSC Port Stanley"
(B) TTW Chapter 1 to Chapter 16 "UNSC Infinity, returning to the Sol system"
[G] Halo 5: Guardians Mission Blue Team Intel Exception "Test Results: Asteroidea 59B"
[G] Halo 5: Guardians Mission Blue Team Intel Exception "Test Results: Asteroidea 61F"
[G] Halo 5: Guardians Mission Blue Team Intel Exception "Test Results: Asteroidea 472A"
[G] Halo 5: Guardians Mission Blue Team Intel Exception "Log: 2557-3-17 1231 SMT 1/4"
[G] Halo 5: Guardians Mission Blue Team Intel Exception "Argent Moon: Station Warning"
[G] Halo 5: Guardians Mission Blue Team Intel Exception "Log: 2557-3-19 1653 SMT 2/4"
[G] Halo 5: Guardians Mission Blue Team Intel Exception "Log: 2557-3-19 1654 SMT 3/4"
[P] Halo: The Fall of Reach Animation Start and Ending parts. [G] Halo 5: Guardians Mission Blue Team Intel Exception "Log: 2557-9-12 613 SMT 4/4"
[G] Halo 5: Guardians Mission Glassed Intel Exception "Shipment Received 2558-8-11"
*Note Every Halo 5 Intel happens during the level they are in. Bar the exceptions above. Impressive job, man. Glad someone's doing this. 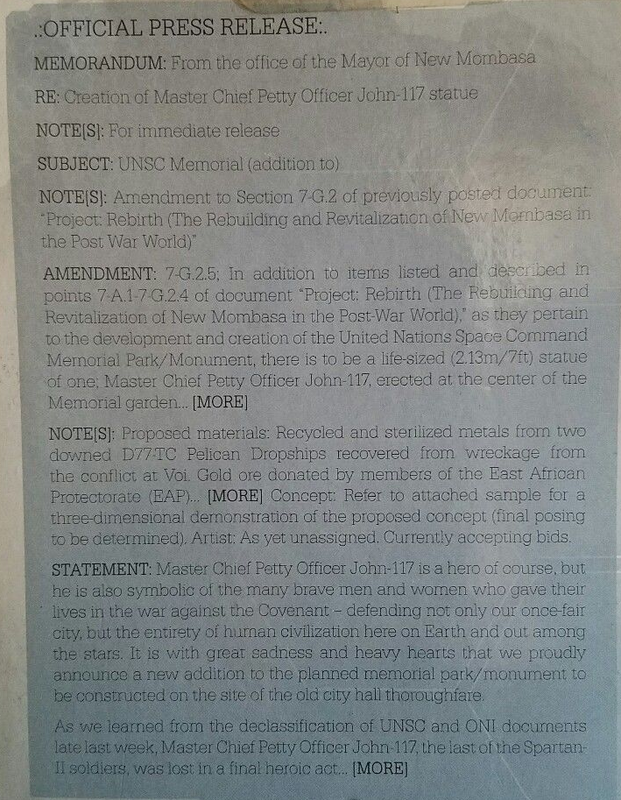 But since I found a google drive version that's better readable and you are credited for it. I was wondering how much is this in sync with the google drive list? Hes currently missing some of the more recent stuff in 2015. But will probably update hopefully in the future. 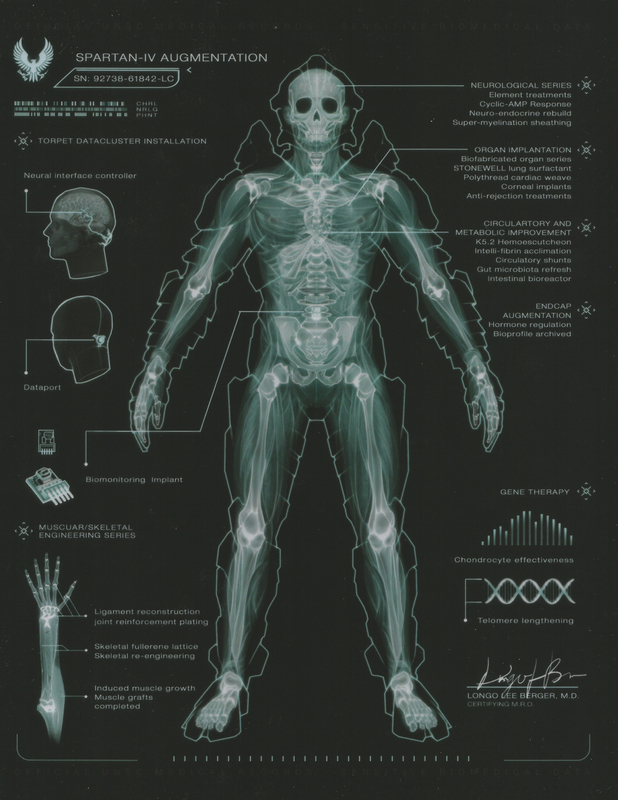 Just saw this too for Halo 4 and beyond, love it man! Good work as usual! hah. Believe is one of those black areas in my canon order. Its canon. But the info in it contradicts a lot. 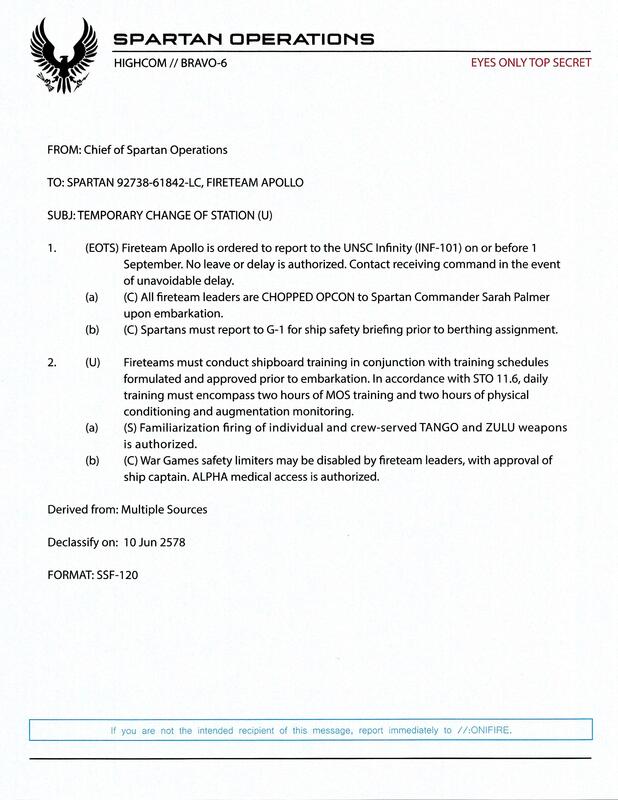 Master Chief is still missing from after the battle of voi in Halo 3(aka everything after Halo 3's Floodgate level) according to this, and we already know different with Halo 4. Plus its based round a musuem. A lot of the time only the "offical" story gets into them. True or not. While the public may actually know the truth. Thats not the point as it doesnt show the publics point of view. 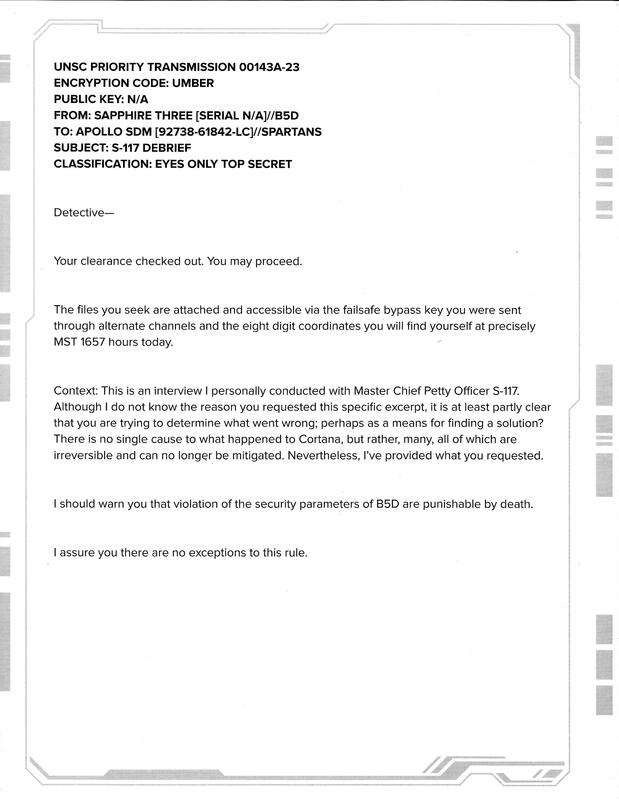 Only the view whoever made that story wants the public to see. 2558 has been split into Months now. Simply due to the amount of lore that happens in it. This also made my life so much easier now regarding the sorting of Halo 5's events. I updated the intros of my Halo Canon order threads and my Halo Story and where to find it thread. They are more user friendly and should allow you all to navigate round the threads. This was a request by a few of you folk. Pair this with my Signature and you have the easiest time ever navigating around. Thank you for your feedback everyone and hope this update helps you do what ever you have planned. I also sorted my little 'yoink' problem. Certain words had another word in them. And caused the filter to go off. While this is funny. It meant for three days you saw 'yoink' thoughout the canon order. And for that I apologise for that problem. 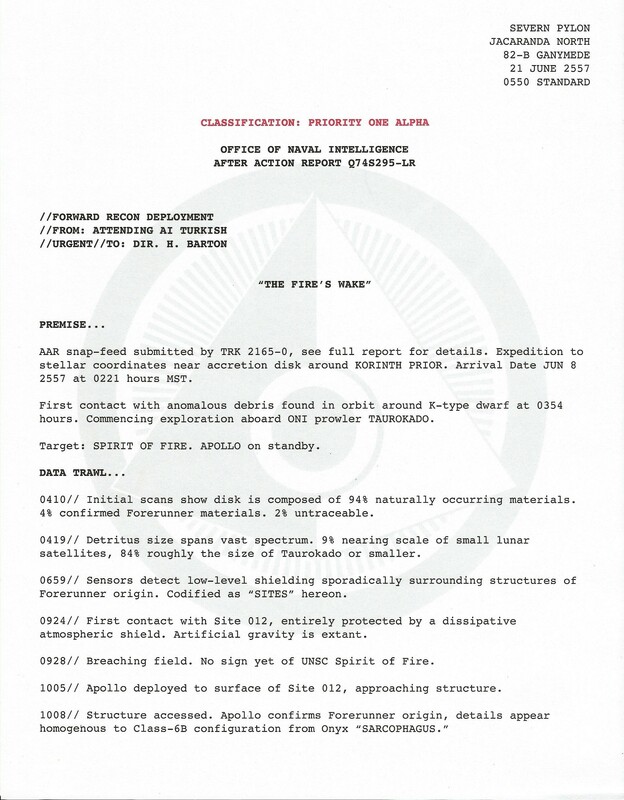 So, when does Halo: Shadow of Intent take place in the timeline? Ok using the book alone. Sadly there is no date given. But we can get an idea. It happens in 2553 100%. Thats a given considering the Fall of High Charity is described as happened months ago. And I would guess after March seeing as Humanity and Elites are at peace. 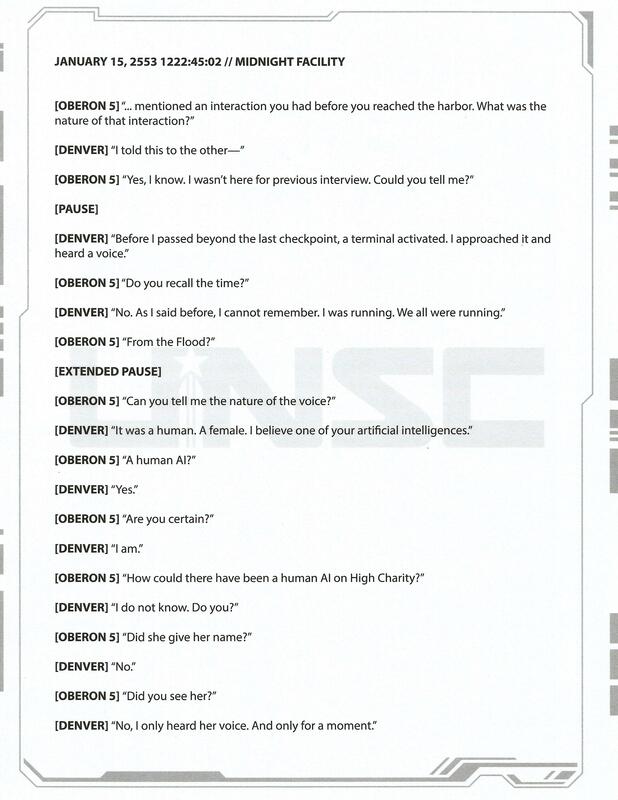 Though it it means the "peace" in 2552 or after the official peace I dont know. And the covenant Civil war got worse. Making it so the events of the book must take place during/after kilo-5. Now to use the only other source we can get a date from. 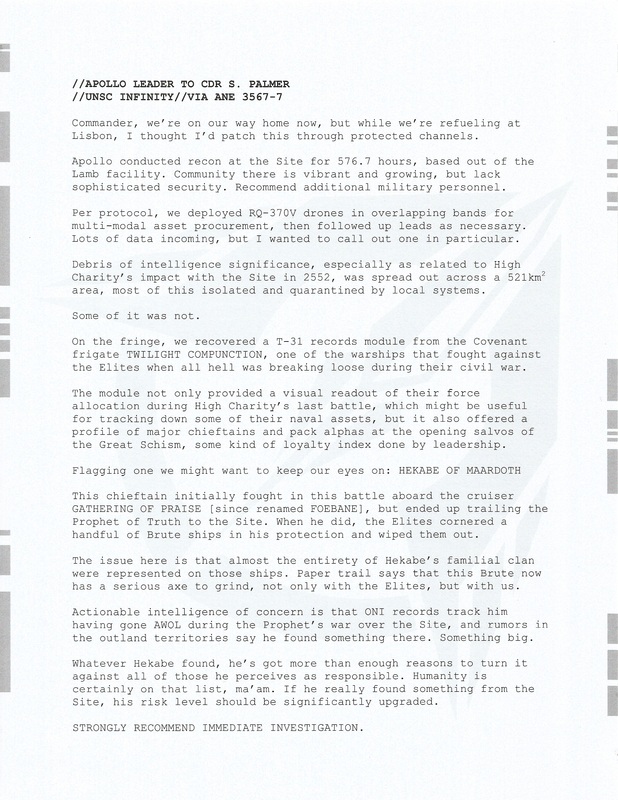 The Catalog post that mentions post war operations of the Shadow of Intent ship. 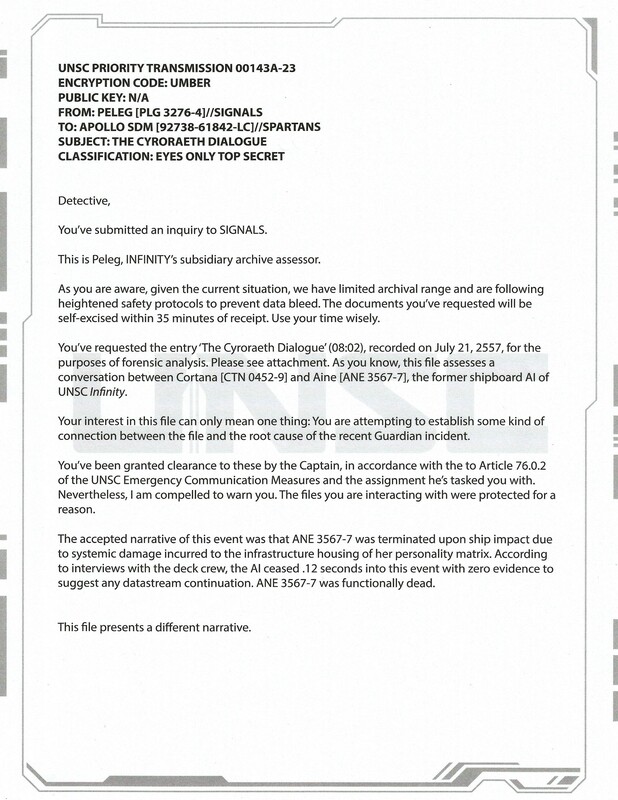 Query Answer: Human naval and [frumentarii] records indicate [Covenant] [destroyer] Shadow of Intent as a priority intelligence target. 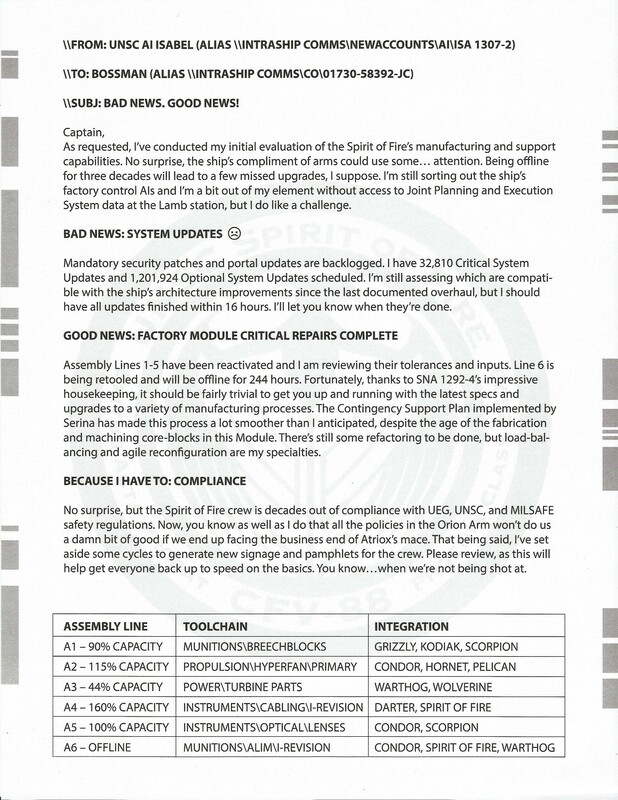 Records indicate repair and refit of vessel at mobile shipyard in [records inaccessible] system [December 30, 2552]. 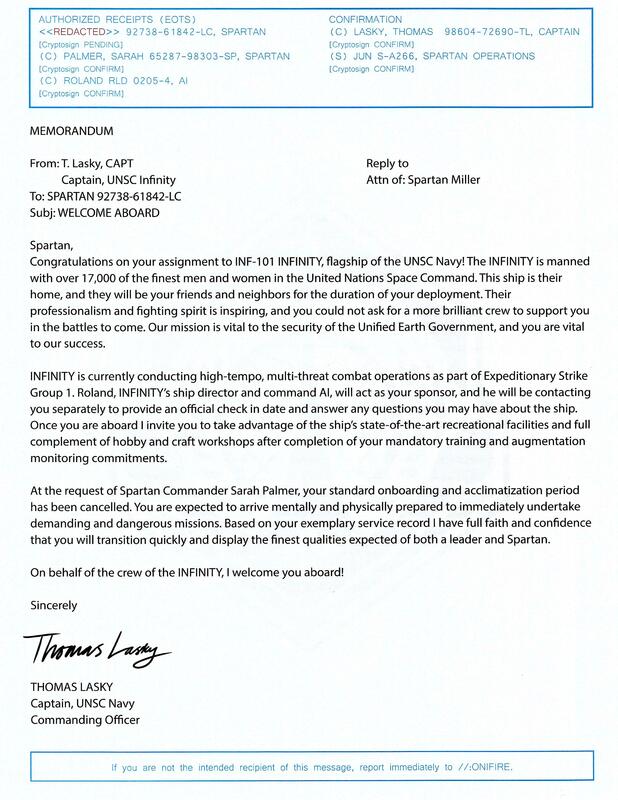 Deployed to Erde-Tyrene [February 29 - March 3, 2553] for diplomatic mission. 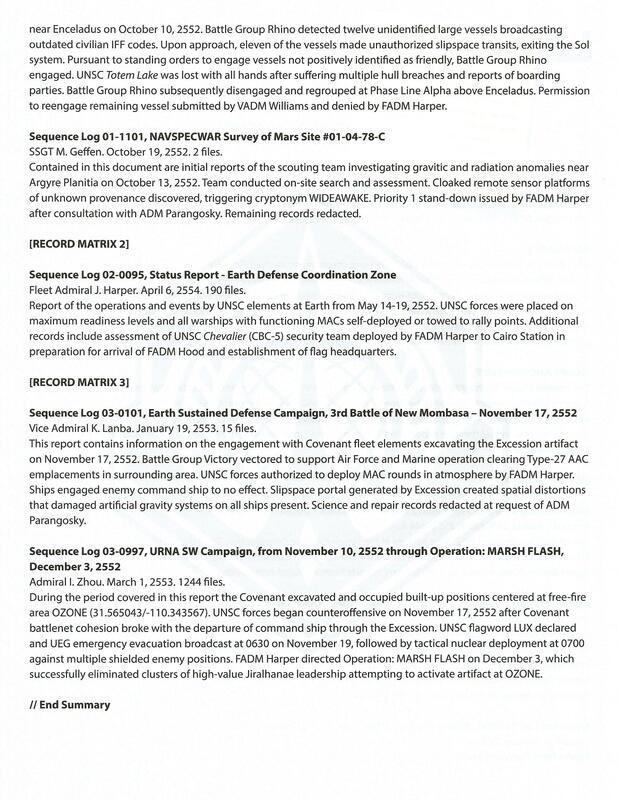 No record of vessel and associated support vessels from [March 6, 2553 - August 24, 2553] - [frumentarii] [signals analysis] infers deployment to [provinces] to [search and assess] after return of [Covenant] long-range exploratory fleets. 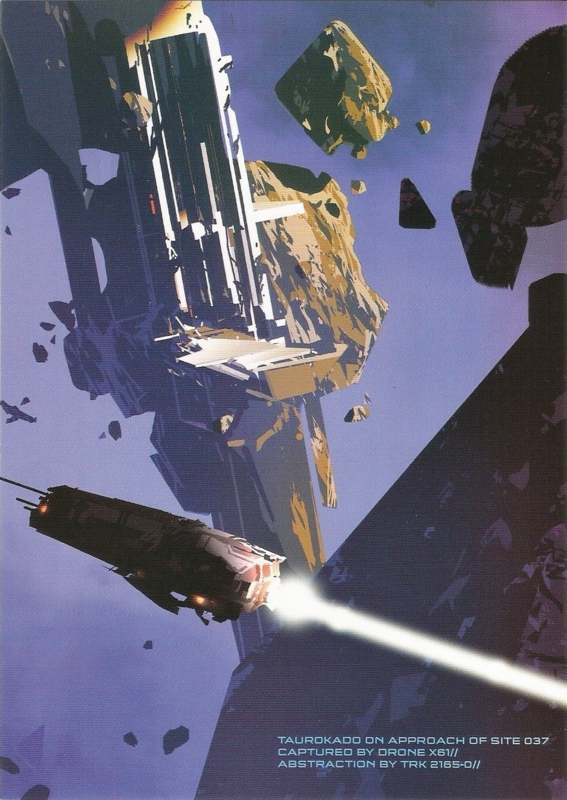 Deployed in internecine conflicts in [CE-80-9012] [ref: Urs] system and [topologically proximate] transit points from [May 24, 2553 - April 15, 2554]. 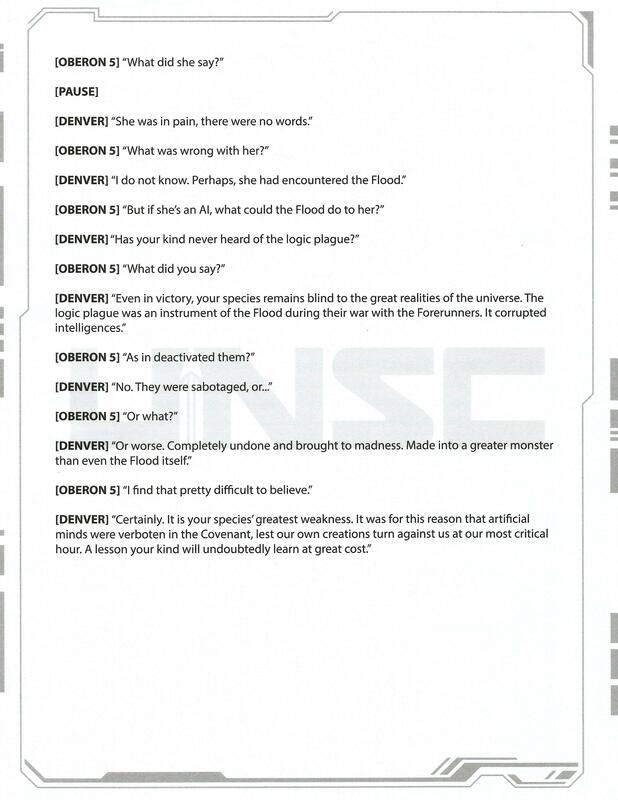 Rendered [combat ineffective] during fleet action against [Covenant] [faction] forces [ref: Jul 'Mdama] in [records inaccessible] system on [April 22, 2554]. 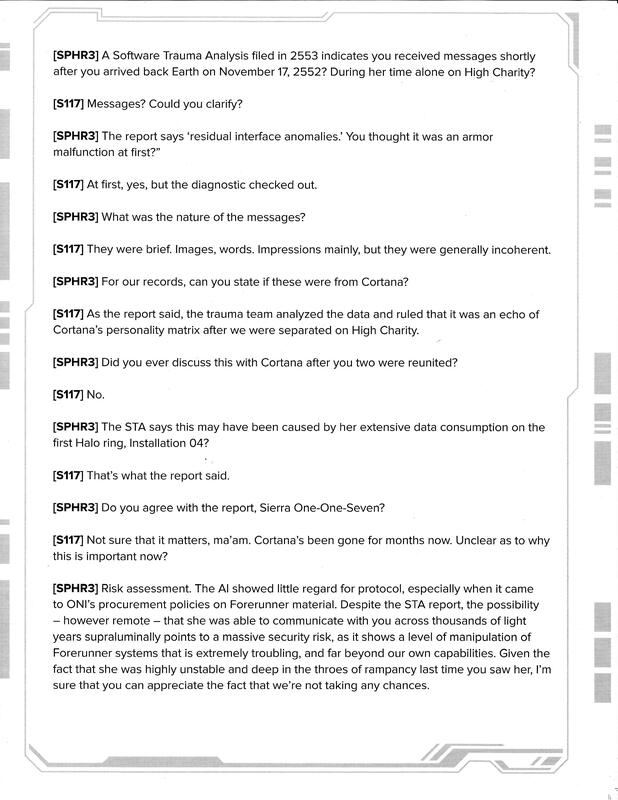 No record of vessel from [April 22, 2554 - November 6, 2556] - Human naval [chatter] reference vessel several times in [onion] encrypted communications not accessible to full [frumentarii] analysis - inferred activity against [servus ferrox] fleet elements in [macto cognatus] core [sphere]. 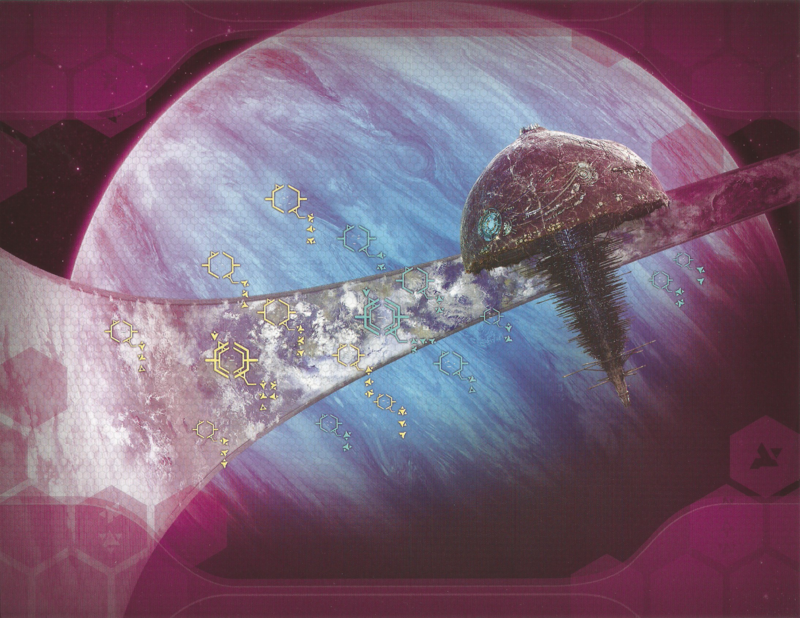 Vessel appeared with previously unidentified logistical support craft [November 6, 2556] in [Urs] system to pacify [faction] forces. 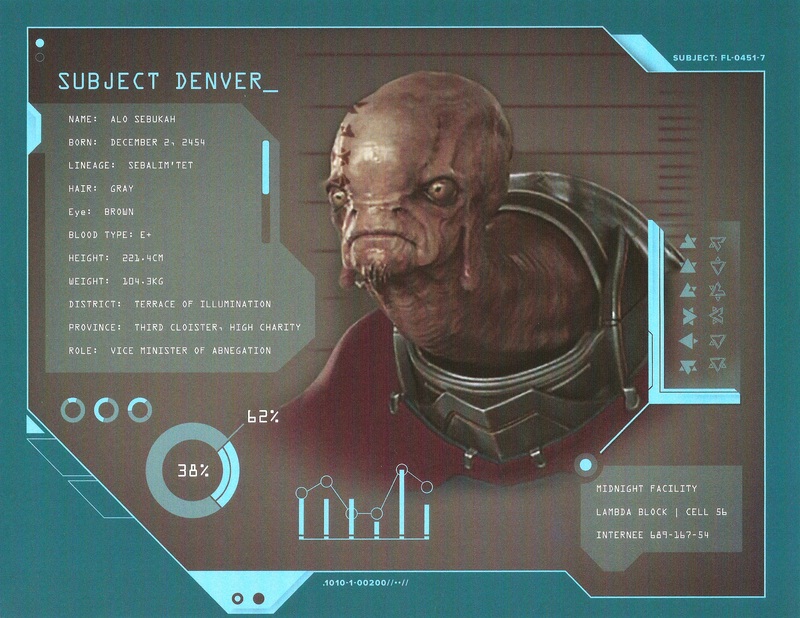 Vessel left [Urs] system [February 2, 2557] on diplomatic mission to [Covenant] [sphere]. 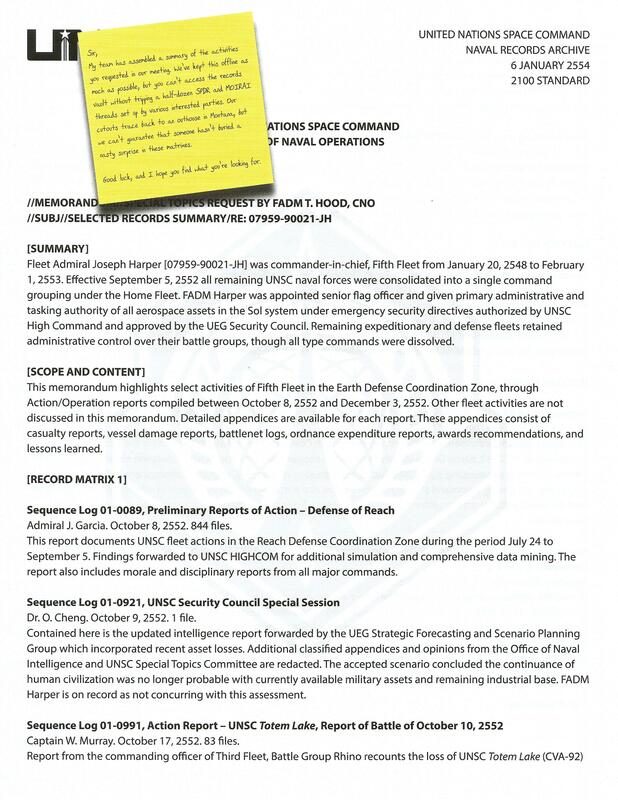 Participated in [exercitatio] with Human naval elements [May 6, 2557 - June 1, 2557] against [latrones] in mixed zone of control [ref: Joint Occupation Zone] - [frumentarii] threat dynamic analysis noted significant improvement in the vessels [dynamic capabilities] and alterations to [nanolaminate] hull plating. Analysis of detritus collected after [exercitatio] purged from [frumentarii] low-echelon secure networks and forwarded to priority [cores]. 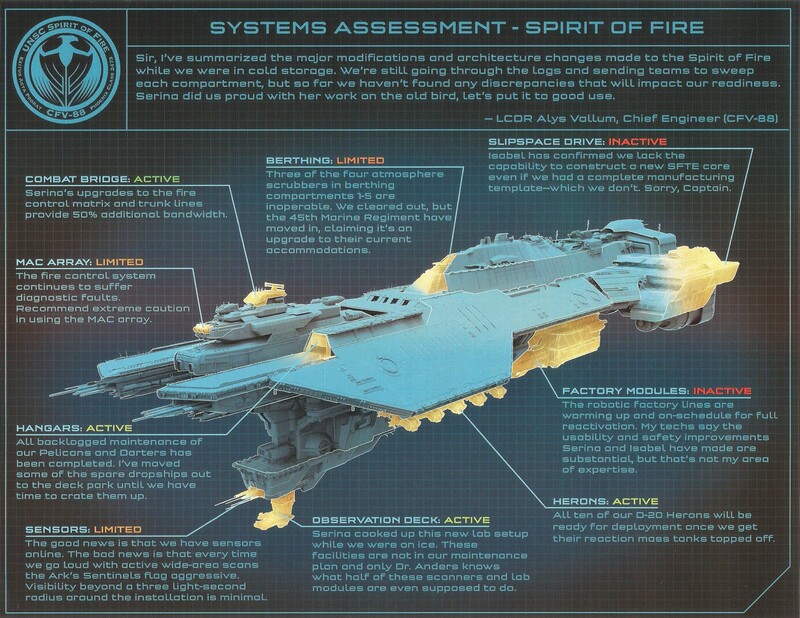 Vessel dispatched with support fleet [June 1, 2557 - March 3, 2558] to protect [macto cognatus] core [sphere]. Recent [frumentarii] records [naufragum] of three [speculatoria navigia] tasked to monitor vessel's fleet activities. 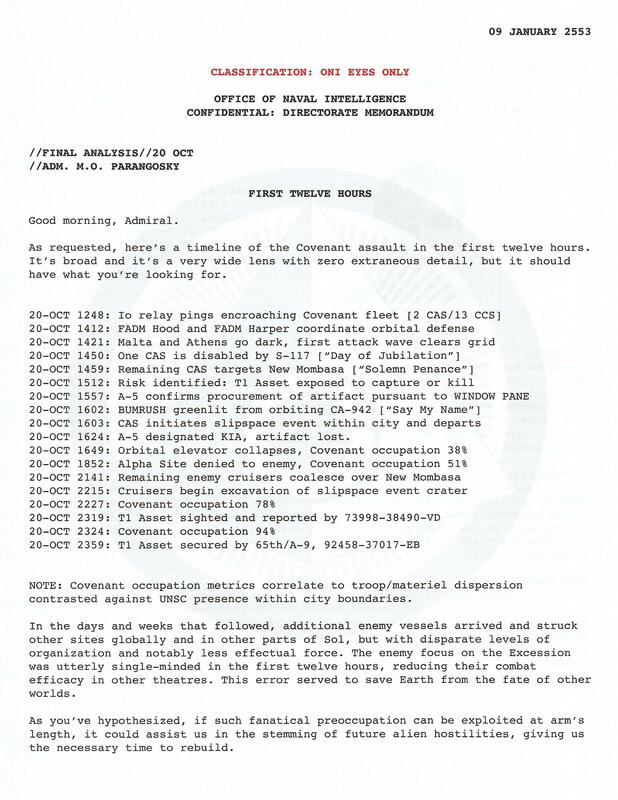 Losses not reported to Human naval authorities. This gives me the idea that it happens 100% after March 3rd 2553. Supporting the books info above. Now to the more speculative stuff. 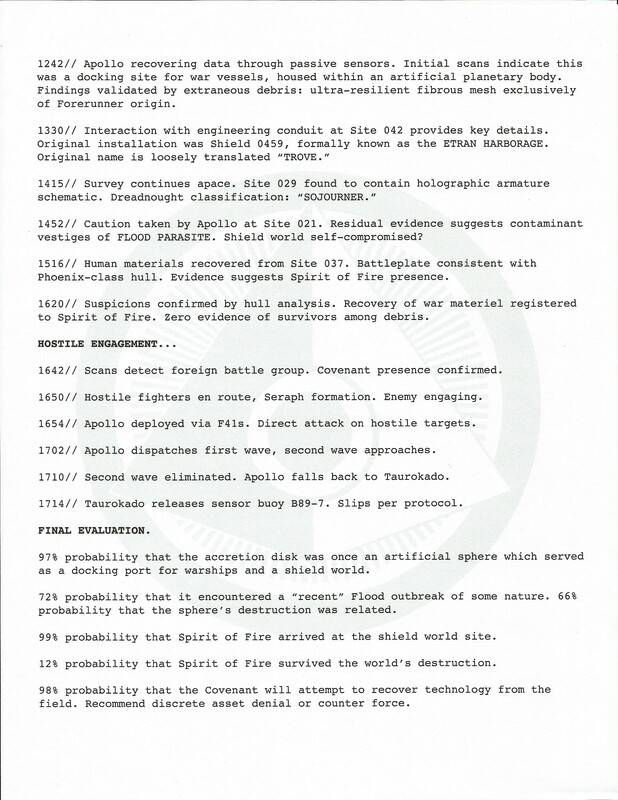 It could happen between March 6th 2553 - August 24th 2553 seeing as there is no "record of vessel" for most of it. And it could happen between May 24th 2553 - April 15 2554 seeing as its dealing with internecine conflicts round the Urs System. (a little similar to the book but far enough that its could not be. So pretty much the book can take place between March 6th, 2553 to April 15th 2554. Which equals me placing it in the earliest spot as after the Voi Memorial. I will change this if 343i say differently but at the moment I have to put it then. SImply due to the fact thats the only place I can. I'd definitely put it in March 6th-August 24th. Yes, we now have a place for it! Thanks to @bsangel on Twitter. 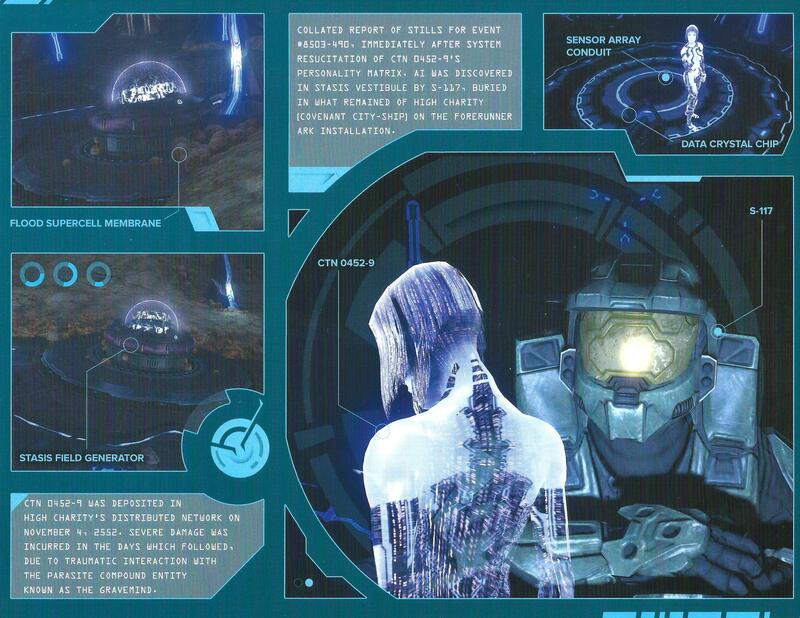 We now have a more accurate look on the early events in Halo Grasslands. Also 1 note I should make. The Dyson Sphere stuff with Blue team, Halsey and co. That happens in a Slipspace bubble. Where time worked wonky. So while it says November 2552. That is their local date. Not the actual date outside the bubble. For accurate dates and months, just look at the stuff between the sections that have them till they get out. I just added in the Halo New Blood coda. 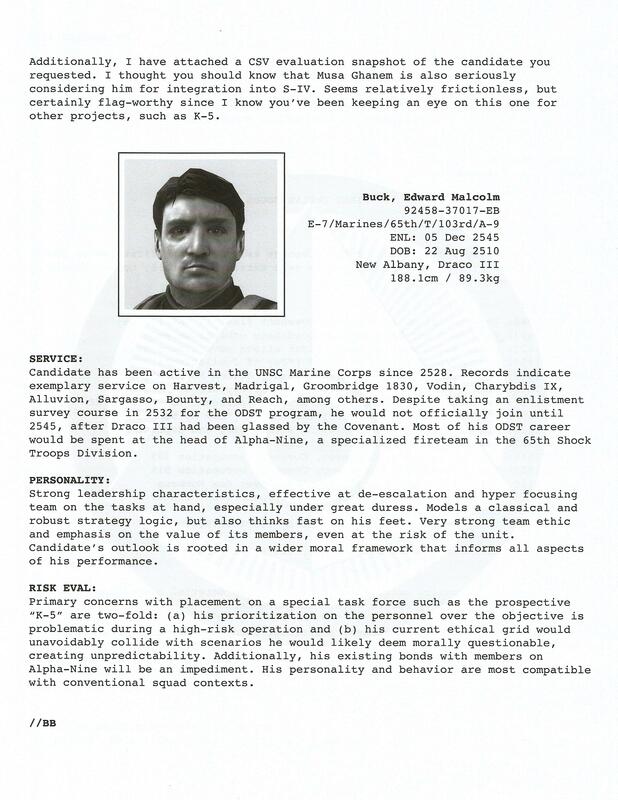 The only thing stopping me putting it right before Halo 5 is the fact that Tanaka could of still been in Fireteam Osiris, but simply was ordered to take part in the Absolute Record mission. Nothing stops that. So there we have it. The reasoning to why I put the Coda so early. 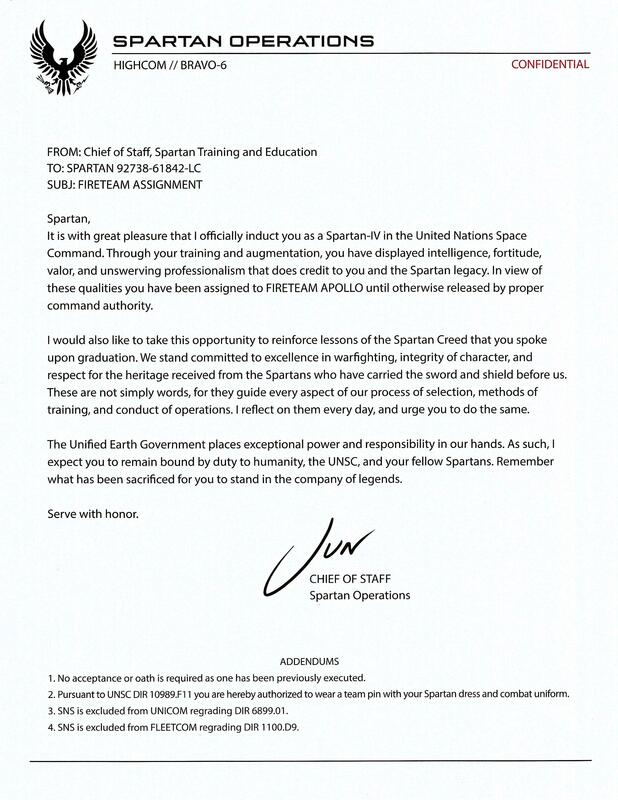 If its confirmed when Fireteam Osiris was formed I will change my placement. (hopefully we will get a more precise date soon. That is the earliest I can put it.